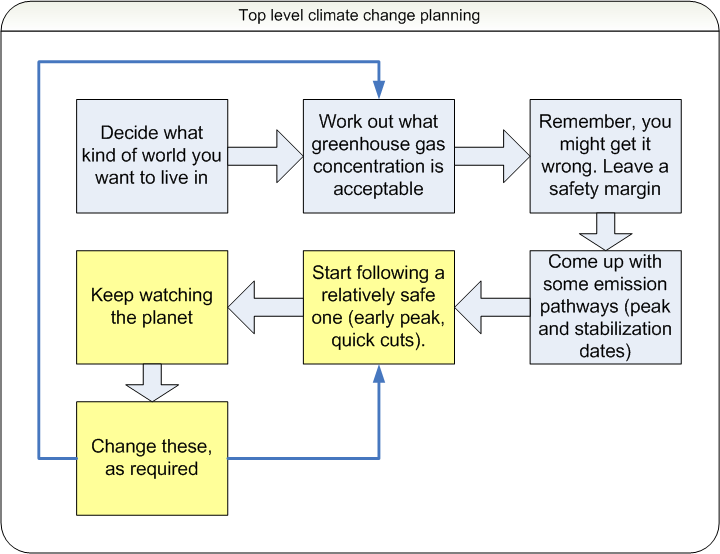 If my aim is to make a positive impact on the emerging climate crisis, the least productive possible use of my time is spending 5-6 years in the U.S. doing a PhD in political science or international relations. It could be argued that the best use would be getting an engineering degree. Then, I could either (a) contribute more intelligently to policy, by better understanding the physical dynamics of what we’re dealing with or (b) actually go off and try and build a better battery / solar panel / electricity grid. Conversely, it could be argued that high-level direction is what is needed, serving to get more specific forms of expertise applied to a sufficient degree. Even if that contention is accepted, however, it seems unlikely that an additional degree in a social science would help. I don’t think you have an engineering mindset. You prefer the big picture. Engineering would probably bore you pretty quickly. Well, a PhD is a pre-requisite for teaching in universities, which arguably is a reasonably good way of changing the way people think. On the other hand, the lag between starting the PhD and sending any students with a passion for solving climate change policy dilemmas out into the broader world would be 10 years or more. A doctorate will not help you change the world. If anything, it will make it too easy to confuse arguments that matter with the ones that do not. It seems to me that the climate change battle is a political one. The point is to get the laws changed, we already generally seem to understand what’s neccesary to do, the point is to do it. Politics is the art of the possible, climatology is the study of the neccesary. The point is to bring them together. I think an engineering degree would be helpful only insofar as it helps you become a better policy advisor. My perceptions are the same as Tristan -to make headway climate change, the crucial battles are political, not technical. I’ve just about had enough of this kind of talk. Why don’t you go save some starving african children already. The logic of that places the immanent need to act above the need to understand, the hubris that the understanding is already complete, is the purest form of fascism. Nobody claims the understanding is complete, but the huge mass of evidence demonstrates that we need to have global emissions peak within 10-15 years if we are going to have atmospheric concentrations of greenhouse gasses stabilize around 450ppm. If you let it go higher than that, you not only suffer more certain effects – like additional water problems and loss of species – you also run an appreciably higher risk of catastrophic effects. The need to act definitely supersedes the need to understand better, at this juncture in time. We know enough to justify enormously more action than we have yet undertaken. What kind of background do you think is required to push these kinds of changes? I think you need an engineering education where you can evaluate the alternatives. For example, are fuel cells a reasonable way to go or not? For that, you need a pretty general engineering and scientific education, which is not traditionally what happens. That’s not how I was trained. I was trained as a computer engineer. So I understand how to build computers, how to make software. I’ve learned on my own a lot of other things. If you look at the people who have high impact, they have pretty general knowledge. They don’t have a really narrowly focused education. I have to agree with Tristan. I think the argument needs to made politically. There’s enough evidence to suggest that we need to do something. We don’t need more science to back it up (well, more science is always good… but we need to start doing something now). The notion of having to roll around in the dirt as a politician might not be very appealing, but I think that it is the most effective way to actually get something done. Al Gore has a lot of credibility, not because he’s ‘the’ expert on climate change (there are very smart people who know more than him) but because he still has a lot of political clout. I have no interest in arguing with the science. I think it is exactly as likely as all those predictions will pan out and be oh so horrible as it is likely that a rediculous number of people will die today who I could have saved by donating money to organizations that play lousy commercials on television. The point is, because the problem is political, what we don’t need any more of is scientific understanding, we need political understanding. The most intelligent thing to date I’ve heard anyone say about politics is that it is “the art of the possible”. That means whining about other people not taking up their duties is the farthest thing from politics. The point is not what ought someone else do, or even what ought you do, but what can you do. I’ve had a really hard time thinking about this “can” question since I read this blog post. The best foil I can think of is imagine a time in the future when this problem has been solved, who would we of the future look back to as the ones who made this future possible? And not just what we’d be indoctrinated with, what the historians that got it right would say, who would those people be. Presumably they would be in lots of different fields, but I think there is good reason to think there would be some specific characteristic which will be apparent in retrospect which seems esoteric now. The best foil I can think of is imagine a time in the future when this problem has been solved, who would we of the future look back to as the ones who made this future possible? I would guess they will be split into two groups: those who convinced politicians and the general public of the need to act and those who made important contributions to the process of doing so. I agree entirely. The key term here is “convinced”. Rather than “tried to convince”. Trying is of no significance if it does not lead towards success (even if it isn’t you that succeeds). We need to recognize that the people who try to “open the public’s eyes” are not helping but hurting the cause, because they make it look like the solution occurs through individual people choosing to recycle and calk their windows. Trying isn’t enough, you have to be right.